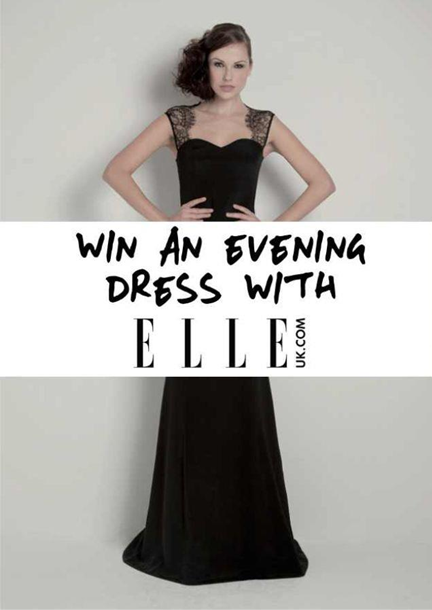 Morella Sassoon has teamed up with Elle magazine and online luxury retailer Then and Now Shop to give you a chance to win one of two stunning evening dresses. Two lucky entrants will each win a show-stopping dress; either a flirty cocktail dress worth over £400 or a full length evening gown worth over £800 (see image below). You can enter the competition here. Good luck! Gallery | This entry was posted in New & Press and tagged Autumn Winter 2012, Competition, elle competition, elle magazine, elle magazine uk, evening dress, evening gown, Morella Sassoon, then and now shop, win. Bookmark the permalink.